If there's one thing I have always wanted to do in Kuala Lumpur, it's going up the Petronas Twin Towers Skybridge on the 41st floor. But even if it's free, I never get the chance because you have to line-up really early for the limited tickets. So when I saw it in the itinerary, I was genuinely excited! We were up early since we had to be in Petronas at about 9:30 a.m. for our 10 a.m. appointment, or else, we may lose our tickets. When we arrived, the line for the afternoon tickets was quite long. And by the time we exited the Skybridge just minutes later, there were no more tickets for the day! As soon as you arrive, they let you in a mini-theater to watch a 3D film on the construction of the Petronas Towers. Later, we were divided into two groups based on the colors of our visitor IDs which they give to you upon arrival; and stuffed into a single lift that brought us all to the 41st floor at a speed of six meters per second. The view from the Skybridge is nice. But it's not a 360-degree view of Kuala Lumpur. So you couldn't see KL Tower from where we stood. You just have a few minutes to take your photos and the guide will usher the entire group down to allow the next group to enjoy the view. 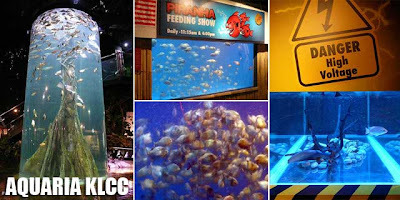 From Petronas, we walked into Suria KLCC, and further on to the Aquaria KLCC which is just a five-minute walk from the Petronas Twin Towers. 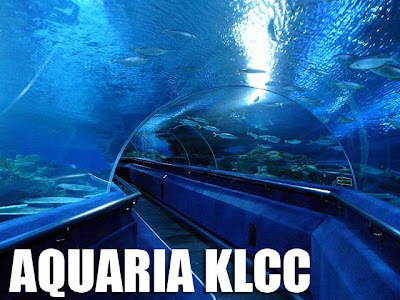 A world-class next generation commercial aquarium, Aquaria KLCC is located at the Concourse level of the KL Convention Centre. The highly-interactive exhibits focus on conservation and feature animal life not just underwater but also species in the areas beside the rivers and seas where these animals can be found. If you come at the right time, you might catch the caretakers feeding the animals. 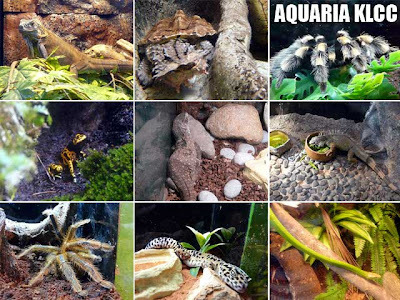 A favorite are the twice daily feeding sessions in the piranha tank and the thrice a week feeding sessions for the arapaimas. I actually got to watch the piranha feeding and they devoured everything in just 30 seconds! 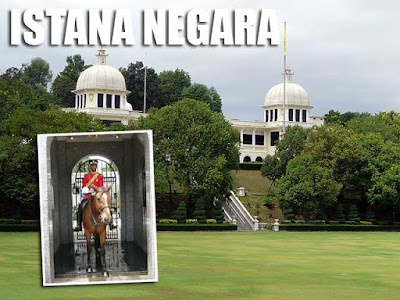 After the Aquaria KLCC, we passed by the Istana Negara or the National Palace, official residence of His Majesty, the Yang di-Pertuan Agong (King) of Malaysia. It's a popular stop if you have your own vehicle. But you can only take photos in front of the gate where members of the Mounted Royal Guard and Royal Guard stand guard. If you're lucky to pass by at 12 noon, you might be able to catch the changing of the guard. We made one last stop at Tugu Negara or the National Moument before proceeding to Sunway Lagoon for lunch. The monument is a sculpture that commemorates those who died in Malaysia's struggle against the Japanese occupation during World War II and the Malayan Emergency. 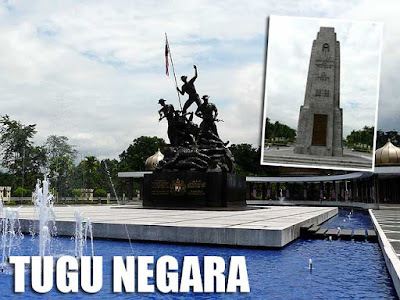 There is actually an older monument beside it called the Cenotaph constructed by the British to commemorate the wars and honor the heroes of World War I, World War II and the Malayan Emergency. 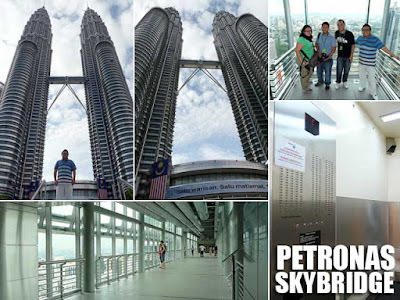 we counted our way to the petronas Sky Bridge! Now, this is what I regretfully wasnt able to do during my trip to KL last week. Petronas Towers lang ang napuntahan ko and nothing else! But nevertheless, it was really majestic... kahit na indi na yun ung tallest. It really "shines" among the rest, literally. 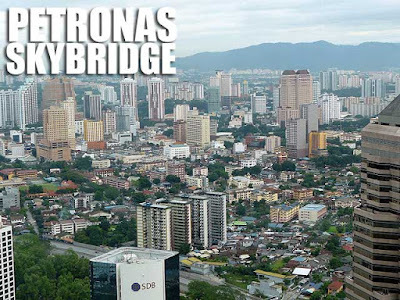 Malaysia: Back in Kuala Lumpur! Binondo: Carvajal Street is a food haven! Binondo: Wai Ying Fastfood serves great dimsum!